“T.S.C. Lowe launches balloon test flight,” Histories of the National Mall, accessed April 23, 2019, http://mallhistory.org/items/show/199. On June 16, 1861, on the site of today’s National Air and Space Museum, T.S.C. Lowe launched his balloon the "Enterprise." 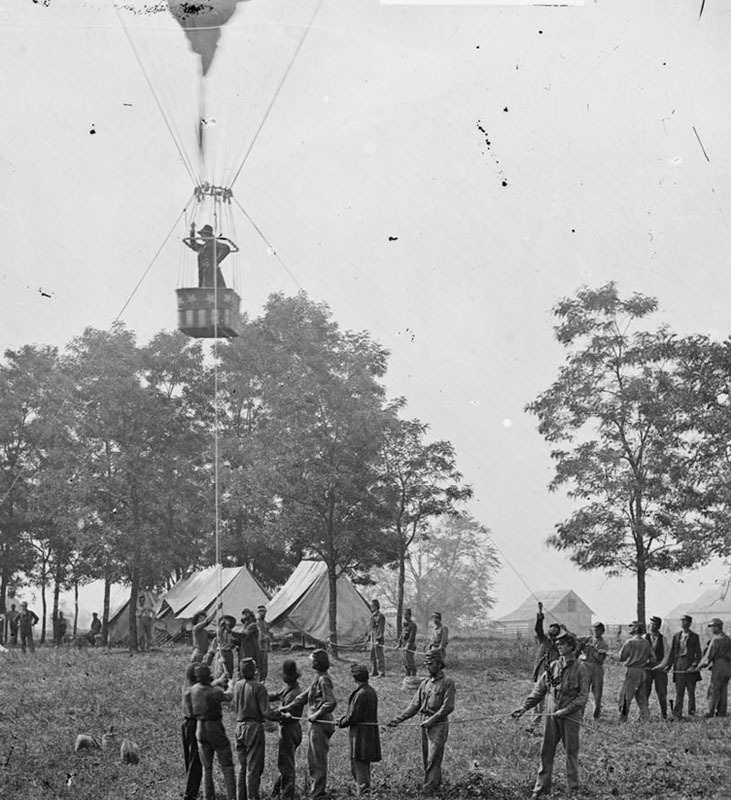 Only months into the Civil War, Lowe launched his balloon in order to convince President Lincoln of the usefulness of the invention for military reconnaissance missions. Lincoln approved Lowe's Balloon Corps, a team of hand-picked aeronauts who conducted aerial reconnaissance for the Union Army between 1861 and 1863.